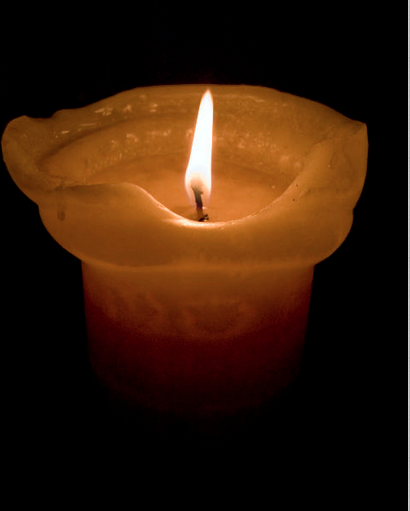 I spent some time over Thanksgiving in dark rooms with candles trying to calm my head. There’s something about the flickering light that my brain waves try to emulate, which ends up slowing us both down. Overall, I find myself withdrawing more to the quiet to shut out all sound and time demands. I imagine the outside world in those times as a hundred people knocking on my door with me behind it pushing palms against my ears. In silent rooms with small flames, I can rest a little and put my hands down. I wish I knew how to make that last. Of course, I have a family and deadlines and the holidays and nothing will change that – nor do I want it to – but if there was just a way to have it all without losing in the process, I’d proclaim it from the rooftops. But for now, it’s one foot in front of the other. Small steps, heaving mind made occasionally smooth, and candles. Candles. Both ends. The irony is not lost. How are you slowing it down? Bullet points and how-tos are appreciated. – Making a conscious effort to be grateful, thankful, at peace. This is what I’m trying to do. This season.